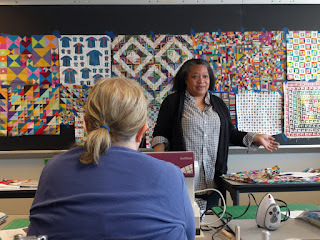 Mathematician, color junkie and small piecer extraordinaire Chawne Kimber spent a sunny Saturday teaching a group of quilters from the Philly and Lancaster Modern Quilt Guilds to push boundaries, and think big by thinking small. 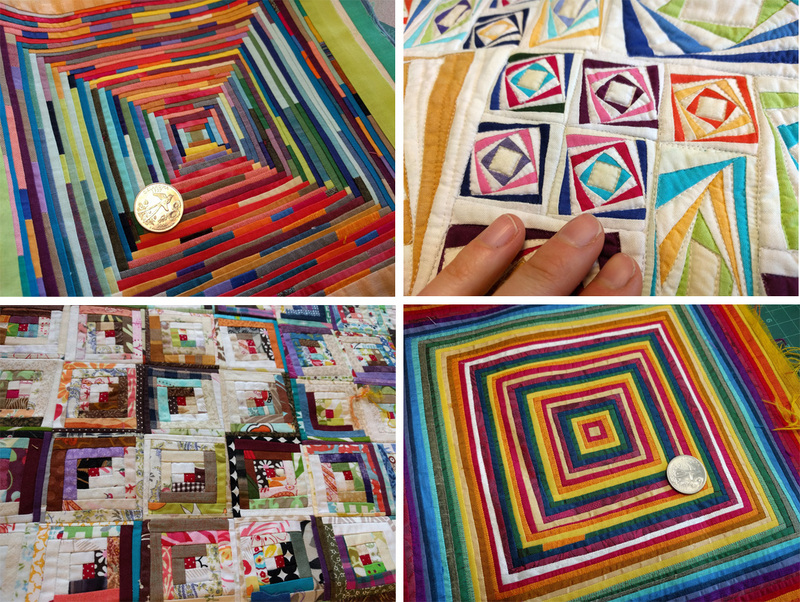 We were enthralled by her adventures in tiny piecing, and gasped at each mini quilt Chawne sent around the room. 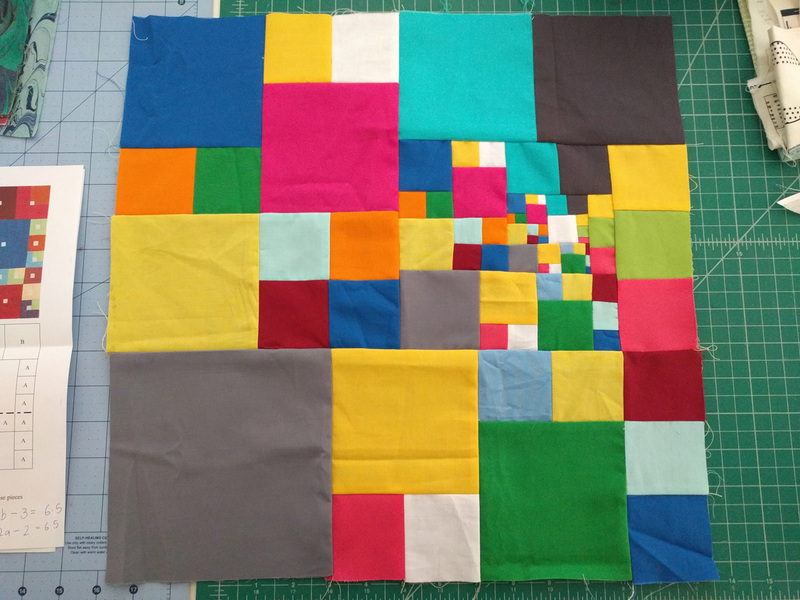 Myriad colors and textures made both perfectly aligned and intentionally wonky blocks. The details were incredible, and the expertly pressed quilt backs were beautiful too. Chawne works with cotton, as well as denim, hand dyed fabrics and silk. 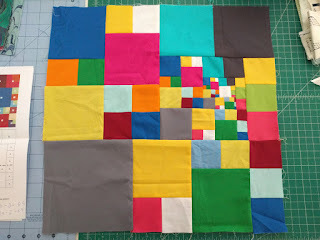 Some pieces in her blocks were 1/8 inch wide, and Chawne pushes the envelope by shrinking traditional blocks smaller than anyone could imagine. 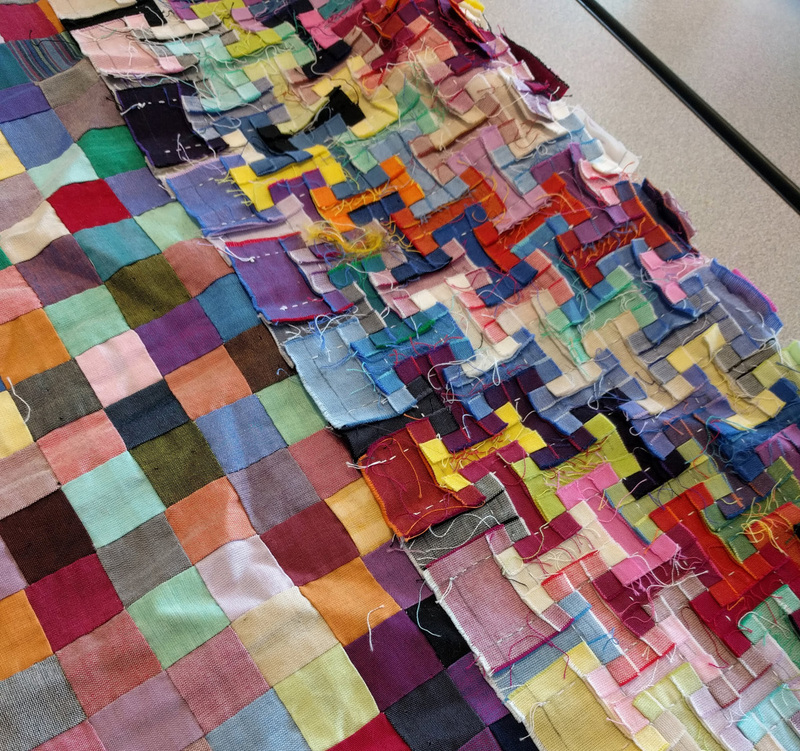 Her mathematical mind gives her precision in piecing, and her creativity takes this to the next level. 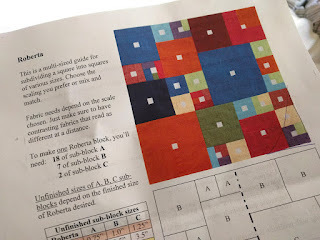 We were given the option of piecing a Roberta block, a square made of 27 smaller squares, that are three different sizes. 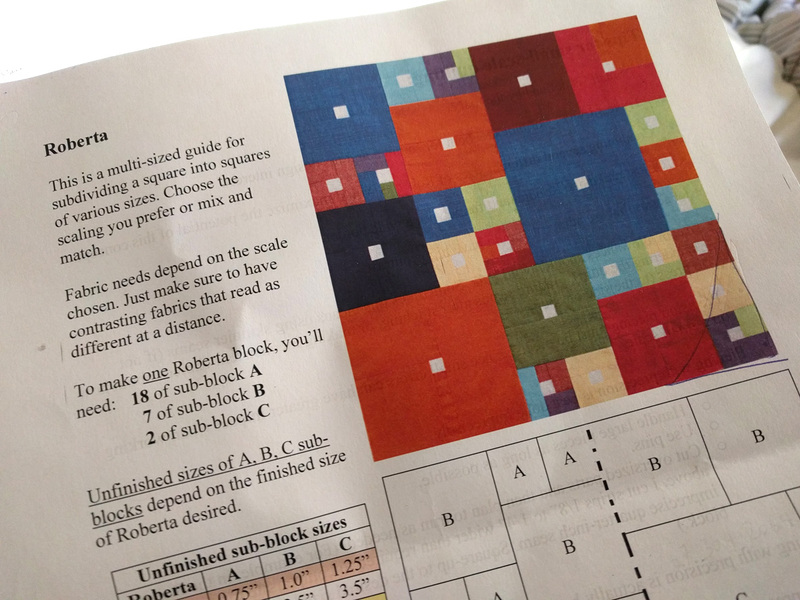 The smallest Roberta block was just 2.5 inches - that's a 2.5 inch square block containing 27 pieces. But we also had free reign to attempt anything else, as long as it was small. And when we had chosen just how small it would be, Chawne came around to each of us to convince us to scale it down further. Piecing was fiddly at first, but once we had the hang of it, and used leader pieces of fabric, with much squinting and hunching over our machines, we all produced tiny little quilt tops. It was a wonderful, inspiring day with a thoroughly entertaining and talented quilter. Thank you to everyone for showing up, excelling at their piecing, to everyone who organized the day, and to Chawne.